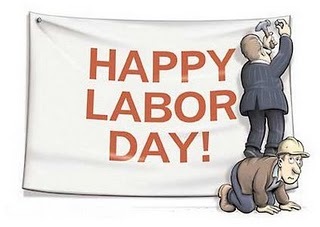 Home » Lifestyle » General » What is Labor Day? Each year, on September 5th, United States celebrates Labor day to recognize and appreciate all the hard working employees in its states. The Labor day is a National Holiday for US citizens. A street parade to exhibit to the public “the strength and esprit de corps of the trade and labor organizations”, followed by a festival for the workers and their families. Speeches by prominent men and women were introduced later, as more emphasis was placed upon the economic and civil significance of the holiday. The holiday is often regarded as a day of rest and parties. Forms of celebration include picnics, barbecues, fireworks displays, water sports, and public art events. Families with school-age children take it as the last chance to travel before the end of summer recess. Similarly, some teenagers and young adults view it as the last weekend for parties before returning to school, although school starting times now vary. Previous: Kurt Angle Arrested for Drunk Driving!